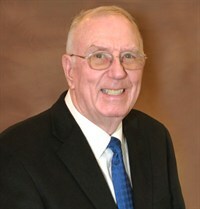 Glen A. Meger is the owner of Brick-Meger Funeral Home and the Medford Funeral Home. A native of Belle Plaine, Minnesota, he attended Minnesota State University, Mankato and is a graduate of the University of Minnesota’s School of Mortuary Science. Glen and his wife Cheryl have lived in Owatonna for over twenty years. They are the parents of Mike, Alex, and Brett and grandparents to Saelac. Glen is an avid high school and collegiate wrestling fan. He is a certified wrestling official and has enjoyed working at the Minnesota State Wrestling Tournament for thirty years. Glen is on the Board of Directors for The Clash, a national high school wrestling dual tournament held in Rochester, Minnesota, each year. Glen has held several roles with Council 945, Knights of Columbus, including Grand Knight. He is a member of the Msgr. Henry Speck Assembly - Fourth Degree Knights of Columbus and has served as the Faithful Navigator for the Assembly. He is active with the Owatonna Chamber of Commerce, having served on the Board of Directors and continues to serve as a Chamber Ambassador. In addition, Glen is on the Steele County Fair Board as the Director of Inside Concessions. As a member of the Rotary Club, he is a STRIVE mentor for high school students. 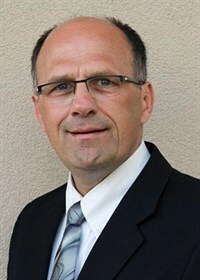 Glen has dedicated his career in funeral service to establishing a tradition of service to families. He is proud to serve and continue his civic involvement in the communities of Medford and Owatonna. 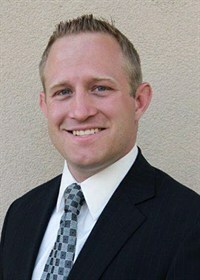 Michael is a 2003 graduate of Owatonna High School, where he was a standout wrestler and earned All-American honors. Michael was a Division I wrestler for North Dakota State University, where he earned his Bachelor's Degree in 2008. He then attended Worsham College of Mortuary Science in Chicago, and completed his mortuary science degree in 2009. Michael has a wide range of experience, having worked at funeral homes in Chicago, St. Paul, and Oakes, North Dakota, before returning to the family business in 2013. Michael is actively involved in the Lion's Club and is a past president. He is a 3rd Degree member of the Knights of Columbus. He and his wife, Destinee, make their home in Owatonna. Destinee owns her own business as a personal trainer. They are proud parents of Saelac Glen, who was born in June of 2017. Michael looks forward to carrying on the tradition of funeral service and caring for families that has been established by his father, Glen. Tim Rice handles the advertising and public relations for the Brick-Meger organization. He brings experience in this field after a 32-year career with Federated Insurance. Rice graduated from Truman State University with a degree in Business Administration. He and his wife Linda are the proud parents of two children and five grandchildren. Tim is active in the Owatonna Knights of Columbus, where he is an Honorary Member, and served at the state level as a District Deputy for more than four years. In addition to his advertising and public relations duties, he is available to assist at funerals and visitations.